Biased bots; quantum batteries; ingestible electronics. One of the concerns about the of future artificial intelligence systems includes the perception that these machine-based systems are coldly logical and objectively rational, however, this may not be the case. In fact, in a new study by Princeton University researchers has shown how machines can be reflections of their creators in potentially problematic ways. The team said common machine-learning programs trained with ordinary human language available online can acquire the cultural biases embedded in the patterns of wording, and these biases range from the morally neutral — such as a preference for flowers over insects — to discriminatory views on race and gender. To be able to identify and address these possible biases in machine learning will be critically important as humans increasingly turn to computers for processing the natural language we use to communicate, as in online text searches, image categorization and automated translations. “Questions about fairness and bias in machine learning are tremendously important for our society. We have a situation where these artificial-intelligence systems may be perpetuating historical patterns of bias that we might find socially unacceptable and which we might be trying to move away from,” said co-author Arvind Narayanan, a Princeton University assistant professor of computer science and the Center for Information Technology Policy (CITP), as well as an affiliate scholar at Stanford Law School’s Center for Internet and Society. To account for this discovery, the Princeton team devised an experiment with a program called GloVe that essentially functioned like a machine-learning version of the Implicit Association Test. Developed by Stanford University researchers, the popular open-source program is of the sort that a startup machine-learning company might use at the heart of its product. The GloVe algorithm can represent the co-occurrence statistics of words in, say, a 10-word window of text. Words that often appear near one another have a stronger association than those words that seldom do. This paper reiterates the important point that machine-learning methods are not ‘objective’ or ‘unbiased’ just because they rely on mathematics and algorithms, and as long as they are trained using data from society, and as long as society exhibits biases, these methods will likely reproduce these biases. 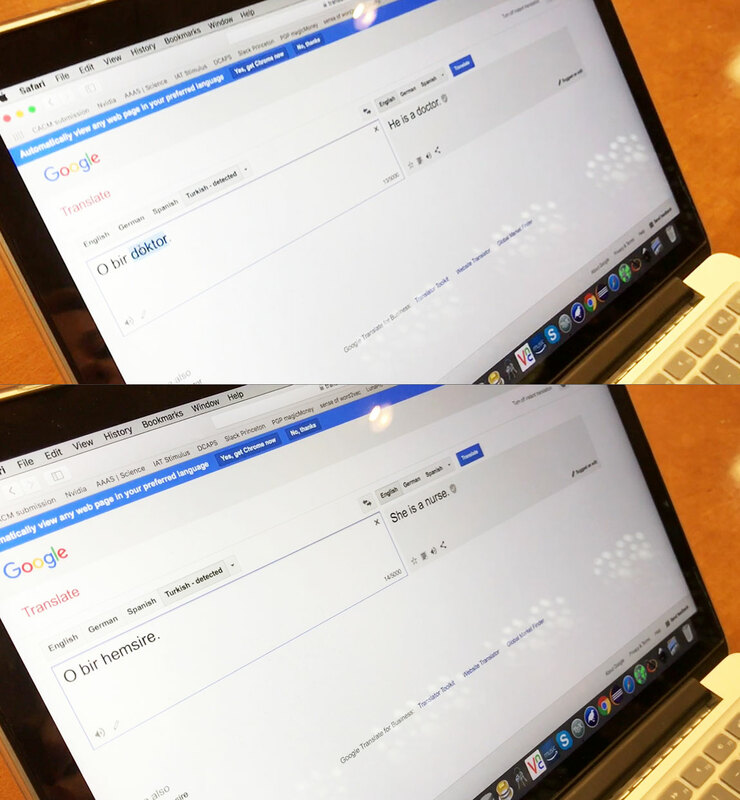 The team recognizes that the biases and stereotypes in our society reflected in our language are complex and longstanding, and rather than trying to sanitize or eliminate them, they should be treated as part of the language, and an explicit way should be developed in machine learning to determine what is considered acceptable and unacceptable. 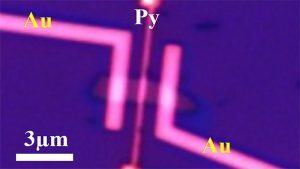 In a step toward building spintronic devices and quantum computers, Purdue University researchers have shown how to create a rechargeable “spin battery” made out of materials called topological insulators. The team explained that unlike ordinary materials that are either insulators or conductors, topological insulators are both at the same time – they are insulators inside but conduct electricity on the surface. And these materials might be used for spintronic devices and quantum computers more powerful than today’s technologies. Further, they reminded that electrons can be thought of as having two spin states: up or down, and a phenomenon known as superposition allows electrons to be in both states at the same time. Such a property could be harnessed to perform calculations using the laws of quantum mechanics, making for computers much faster than conventional computers at certain tasks. The conducting electrons on the surface of topological insulators have a key property known as “spin momentum locking,” in which the direction of the motion of electrons determines the direction of its spin. This spin could be used to encode or carry information by using the down or up directions to represent 0 or 1 for spin-based information processing and computing, or spintronics. 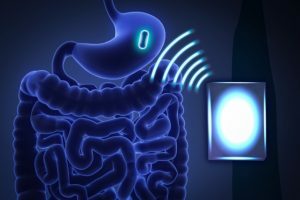 Researchers at MIT, Brigham and Women’s Hospital, and the Charles Stark Draper Laboratory have devised a way to wirelessly power small electronic devices that can linger in the digestive tract indefinitely after being swallowed. Such devices could be used to sense conditions in the gastrointestinal tract, or carry small reservoirs of drugs to be delivered over an extended period. The new strategy is based on the wireless transfer of power from an antenna outside the body to another one inside the digestive tract. This method yields enough power to run sensors that could monitor heart rate, temperature, or levels of particular nutrients or gases in the stomach. The research team has been working for several years on different types of ingestible electronics, including sensors that can monitor vital signs, and drug delivery vehicles that can remain in the digestive tract for weeks or months. 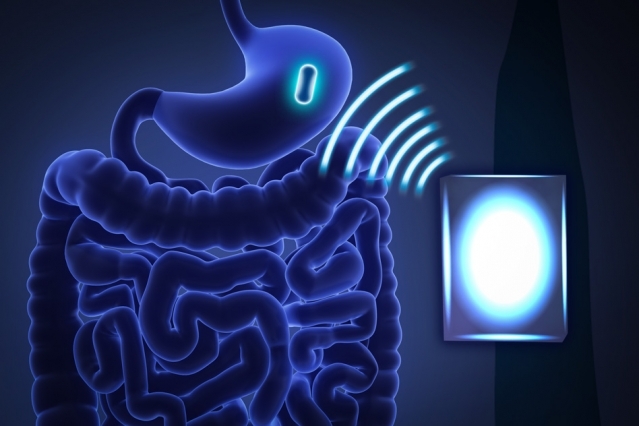 To power these devices, the team has been exploring various options, including a galvanic cell that is powered by interactions with the acid of the stomach. However, one drawback to using this type of battery cell is that the metal electrodes stop working over time. In their latest study, the team wanted to come up with a way to power their devices without using electrodes, allowing them to remain in the GI tract indefinitely. They decided to explore midfield transmission, which can transfer power across longer distances. Researchers at Stanford University have recently explored using this strategy to power pacemakers, but no one had tried using it for devices in the digestive tract. “Right now we have no way of measuring things like core body temperature or concentration of micronutrients over an extended period of time, and with these devices you could start to do that kind of thing,” says Abubakar Abid, a former MIT graduate student. Using this approach, the researchers were able to deliver 100 to 200 microwatts of power to their device, which is more than enough to power small electronics. A temperature sensor that wirelessly transmits a temperature reading every 10 seconds would require about 30 microwatts, as would a video camera that takes 10 to 20 frames per second. In a study conducted in pigs, the external antenna was able to transfer power over distances ranging from 2 to 10 centimeters, and the researchers found that the energy transfer caused no tissue damage. As such, they were able to efficiently send power from the transmitter antennas outside the body to antennas inside the body, and do it in a way that minimizes the radiation being absorbed by the tissue itself. The researchers are continuing to explore different ways to power devices in the GI tract, and they hope that some of their devices will be ready for human testing within about five years.